Whether you’re interested in wearing contact lenses for the first time, or you already wear them and want to explore what alternatives are available to you, come into our office for a consultation visit and investigate the options available with one of our doctors who specialize in the fitting of contact lenses. If you want to wear contact lenses for the first time, where do you begin? First, it’s important to know that contact lenses are medical devices that need to be properly fit by an eyecare practitioner. In the U.S., contacts can be legally purchased only with a valid written prescription. Your first step is to see Vision Care Consultants. You must do this even if you don’t normally wear eyeglasses, and just want contacts to change your eye color. 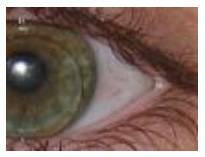 One of our doctors can evaluate your eyes to determine if they are suitable for contact lens wear. Today, just about everyone can wear contacts, but a contact lens exam will tell if you’re one of the few who can’t. Contact lenses are made of many different types of materials, but they are divided into two main groups: soft or rigid gas permeable lenses. Soft contact lenses contain from 25-79% water, are easy to adjust to and are quite comfortable. Rigid gas permeable contact lenses take longer to adjust to, but are more durable and more resistant to deposit buildup. They tend to be less expensive over the life of the lens and can offer some people crisper vision than they would get with soft contacts. As for replacement schedules, conventional soft contacts last about a year, while conventional RGP (rigid gas permeable) contacts last several years. If you opt for frequent replacement contacts, you will need to replace them between once a month and once every several months. Disposables are the ones you replace most often: from one day to two weeks. The latest innovations are daily disposables, bifocals and toric contact lenses for astigmatism. With daily disposables, you wear them for just one day and then throw them away. And, quite a few companies are now making both bifocal and toric lenses in disposable and frequent replacement styles, in addition to the conventional styles that have been around for some time. Wish you could see without your contacts, but don’t want surgery? Ortho-K might be just the thing for you. You wear special contacts at night and they reshape your eye so that your vision is improved even when you don’t have them in. Unlike regular RGPs used for everyday vision, Ortho-K RGPs have a “reverse geometry” design that can reshape the curvature of your cornea. If you are nearsighted, the Ortho-K RGP, when worn, will flatten your cornea. Usually, the lenses are worn about seven or eight hours a night. Vision Care Consultants was involved in the original FDA research in Ortho-K and are leaders in the field of this technology. Perhaps you’d be interested in wearing your contact lenses continuously for an entire month. Several companies have that option right now; extended wear contacts are designed for 30-day continuous wear. Make an appointment and ask for a fitting to see if you are a candidate for one of our new contact lens designs.